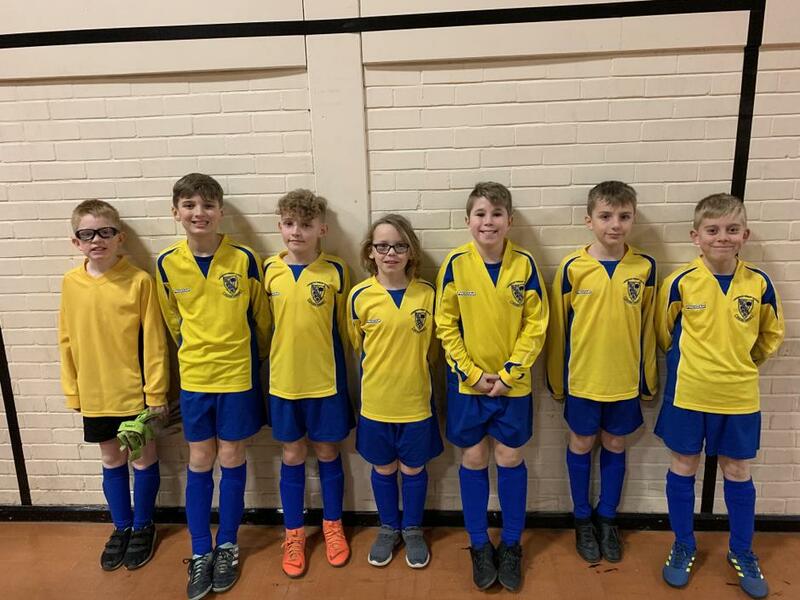 Mr Bunhejee and Miss Mills took the Y5/6 Futsal team to Wilsthorpe for an Erewash School Sports Partnership competition on Thursday 17th January. Logan, Dylan, Archie, Ethan, Tommy, Harry and Theo played really well and represented Longmoor fantastically in matches against other local Primary Schools. Our first match was against Brooklands who we beat 1:0 with a goal from Theo. Our second match was against Dovedale A who we beat 1:0 with a goal by Harry. So far so good. Two wins with three games left. In our second game we conceded a late goal to lose 2:1 to Harrington. Dylan had earlier scored an equaliser from the penalty spot. This meant we had to win all our remaining games. In our fourth game we beat Dovedale B 3:0 with a brace from Harry and one from Theo. This meant it went to the last game against Chaucer who were unbeaten. In a tough, tight game we lost to a strong Chaucer 2:0. Meaning we finished in 3rd place with 9pts. Well done to all the boys who played some fabulous Futsal and scored some impressive goals. Thank you to Mrs Wenham, Mrs Tuck and all the other parents and carers who came along to support the team.